It isn’t easy being an application developer, having to deal with multiple languages for creating apps to run on multiple operating systems. Embarcadero Technologies is trying to bring some order into this chaos with the release of RAD Studio XE7, a software environment for Delphi/Object Pascal and C++ developers for building new or upgrading legacy apps. 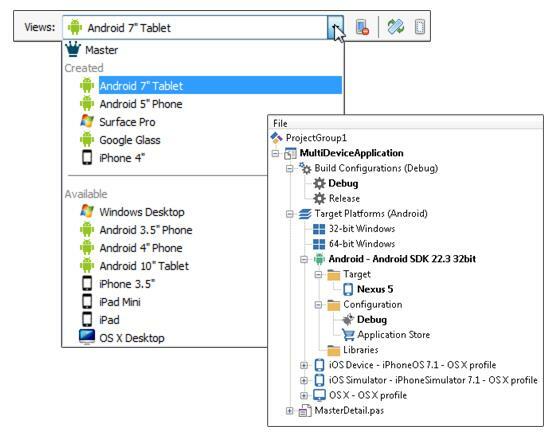 This latest version has three new capabilities, according to John Thomas, director of product management: Help for enterprises that want to extend apps to mobile devices; a new device designer that helps developers share code for multiple platforms and support for Bluetooth for those creating apps for wearables. The new enterprise mobility services includes a turnkey middleware server so a developer can build an app and deploy it in the enterprise, he said. The new FireUI creates an interface that can work across multiple OS platforms and screen sizes. It includes a form designer, where a developer can lay out and design the app; multi-view components that know how to lay themselves out correctly depending on the form factor; and behavior services, a new API that gives the framework information about the device it will run on. Code can be re-used from the master form. Finally, RAD Studio’s app tethering capability allows developers to extend Windows apps connectivity for wearables not only through Wi-Fi, but now also through Bluetooth. RAD Studio XE7 is sold through resellers or direct from Embarcadero. It comes in four editions: Professional (US$1,879); Enterprise ($3,119); Ultimate ($4,159) and Architect ($4,679). Upgrades from earlier versions start at $1,129. Is your security as mobile as today’s hackers?